Product prices and availability are accurate as of 2019-04-11 23:33:58 EDT and are subject to change. Any price and availability information displayed on http://www.amazon.com/ at the time of purchase will apply to the purchase of this product. 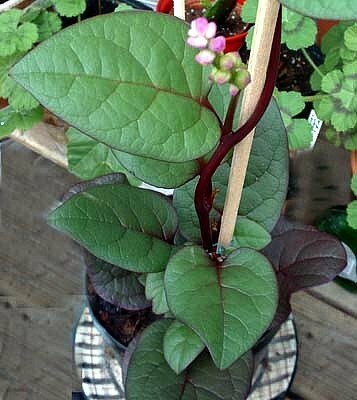 Climbing Malabar Spinach(Basella rubra) Large, mild-flavored green leaves look terrific climbing up a bean tower, mailbox post, or fence! 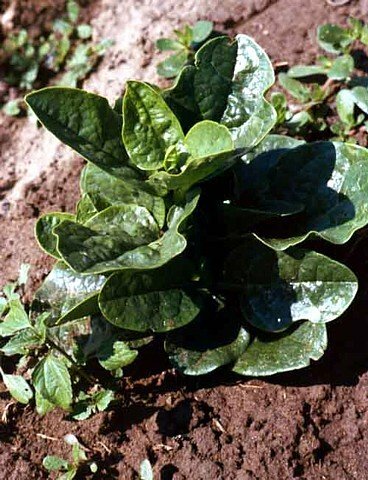 This Ornamental Spinach Keeps You in Tasty Greens All Summer! The red stems really jazz up the plate! 55 days. The thick, dark green leaves of this edible ornamental provide tasty greens throughout the summer, when traditional spinach will not grow. The mild flavor makes Red Stem equally good cooked or fresh, and is more palatable to children than the peppery cool-season varieties. 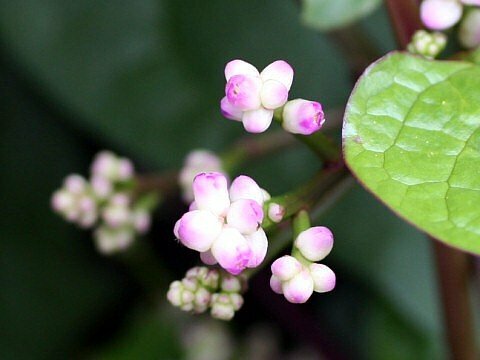 Heat-loving and vigorous, these attractive plants reach 6 feet or more if trained on a bean tower, trellis, lamppost, or any vertical structure with some porousness for twining. 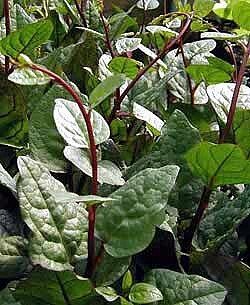 The plants sport scarlet stems that contrast beautifully with the deep green of the thick, broad leaves. Many people grow Red Stem for purely ornamental purposes, but there's a lot of good eating on this productive plant! Transplant into the garden or large container (with support) in late spring. Nothing is easier or more productive.